Building game with environmentally-friendly theme. Is there a better alternative to Build It Green! Back to the Beach? Is Build It Green! Back to the Beach really the best app in Simulation category? Will Build It Green! Back to the Beach work good on macOS 10.13.4? Build It Green! Back to the Beach... Help the inhabitants of a tropical island protect their homes and go green in this exciting building game from National Geographic. Build environmentally friendly housing, investigate alternative fuels and upgrade your facilities with the latest green technology. The follow up to Nat Geo's popular game, Plan It Green. Earn points and prestige as you protect a precious island paradise from pollution and exploitation. Explore the lush tropical scenery on this beautiful island. Build It Green! Back to the Beach needs a review. Be the first to review this app and get the discussion started! Build It Green! Back to the Beach needs a rating. Be the first to rate this app and get the discussion started! Hours of gameplay in both campaign and sandbox mode with 60 unique levels full of exciting challenges! 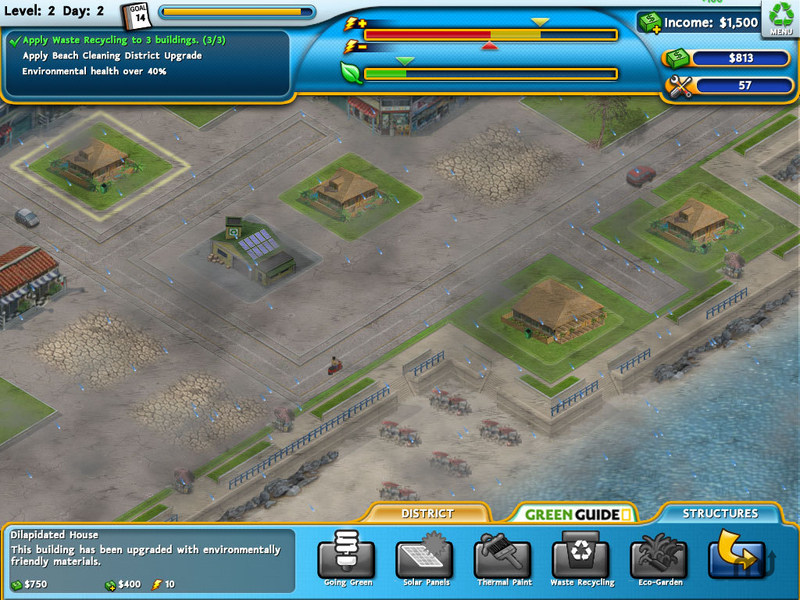 Upgrade the island and protect the environment with the latest green technology while you build eco-friendly houses, stores, hotels and more.